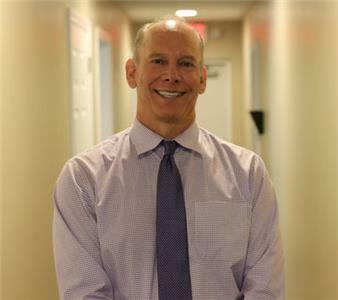 Total Health Chiropractic is excited to welcome Chris Topel, D.C., as clinical director and treating chiropractor at its Fort Oglethorpe location. Dr. Topel brings a wealth of experience in treating sports-related injuries to the practice, having worked with athletes at the local, regional, national and international levels including the Ironman, World Triathlon Championship, U.S. Track & Field, and the Olympic Games. Dr. Topel attended the University of Missouri in Columbia, Mo., where he majored in pre-medicine studies. He earned a Bachelor of Science in Biology and a Doctorate degree in Chiropractic Medicine from Logan University in Chesterfield, Missouri. Before coming to Total Health Chiropractic in May, Dr. Topel served as chief operating officer for Northside Neighborhood House, a non-profit organization whose mission is to promote the independence of residents north of the river in Chattanooga by providing a hand up through education and assistance. In addition to his work in chiropractic care, Dr. Topel is an active member of the community, participating in the Leadership Chattanooga class of 2016-2017, serving as president-elect for the Southside Council-Chamber of Commerce and as a committee member for the Small Business Awards selection process with the Chattanooga Chamber. He’s also a member of the Chattanooga Regional Homeless Coalition board of directors and participates in the Co.Lab Mentorship-Accelerator program in addition to numerous other community activities. To schedule an appointment at the Fort Oglethorpe location of Total Health Chiropractic, call (706) 866-7575.